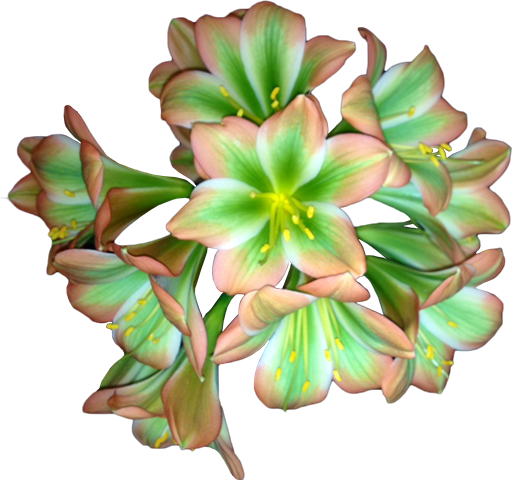 Leaf tip die back was noticed with a large percentage of potted Clivia plants growing in a bark/sand mixed medium. Plants were taken for a diagnosis with Plant Aid Services. Initially a bacterial infection was suspected but no significant bacteria (or fungi) in association with leaf lesions was found. On the examination of the roots several parasitic nematodes were found. These were diagnosed as “Paratylenchus”. 83% of all nematodes found were of this specie. The proportion of Paratylenchus sp. (common name = Pin Nematodes) was extremely high and was a major contributor to the symptoms. The Pin Nematodes are a large group on external parasites of plant roots with a wide range of host plants. They are fairly common in South Africa, particularly from sugar cane fields in Natal. Thus the origin of the Nematodes was probably the water source and the sand/soil mixed with the bark. It was suggested that water used for irrigation be nematode free, and the irrigation water be allowed to stand in a holding tank with minimum turbulence as Nematodes and their eggs have an appreciable sedimentation rate and will sediment to the bottom of the tank. The out flow from the tank must be placed as high as possible to insure minimum amounts of Nematodes in the water. Natural organic matter should be incorporated into the soil to increase the number of antagonistic organisms such as predatory fungi and Nematodes. According to Agrios (1997), chemical control is based on fumigants such as methyl bromide, chloropicrin, metam, sodium, dazomet, etc., broad spectrum nematicidal and insecticidal carbamates such as aldicarb (Temik), carbofuran (Furadan) etc., as well as organophosphate nematicides such as phorate (thimet), disulfoton (Disyston ), ethoprop (Mocap), fensulfothion (Dasanit), fenamiphos (Nemacur) etc. Some organophosphate nematicides are available as water-soluble liquids or granules, have low volatility, can be applied before or after planting and are effective only against nematodes (Agrios 1997). Most nematicides are hazardous, broad spectrum and expensive. Recently a biological control product called Plplus, has become available and the active ingredient is the fungus Paecilomyces lilacinus strain 251. 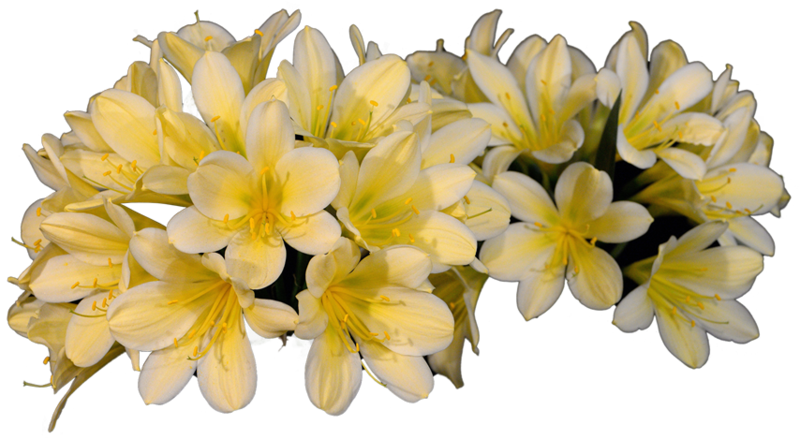 It may be tried in the soil around garden plants or in pots. 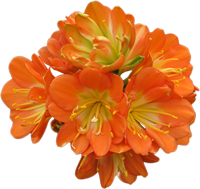 Insure that all Clivia are raised in previously used growing medium. 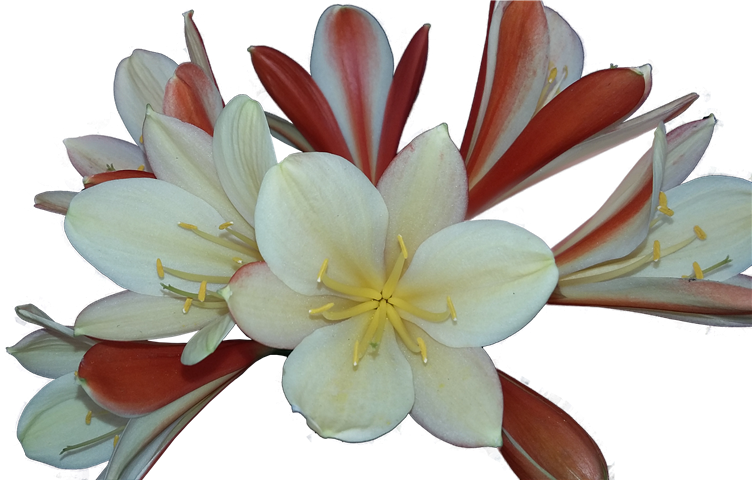 Chemical control was administed on effected plants with little or no further leaf tip die back.